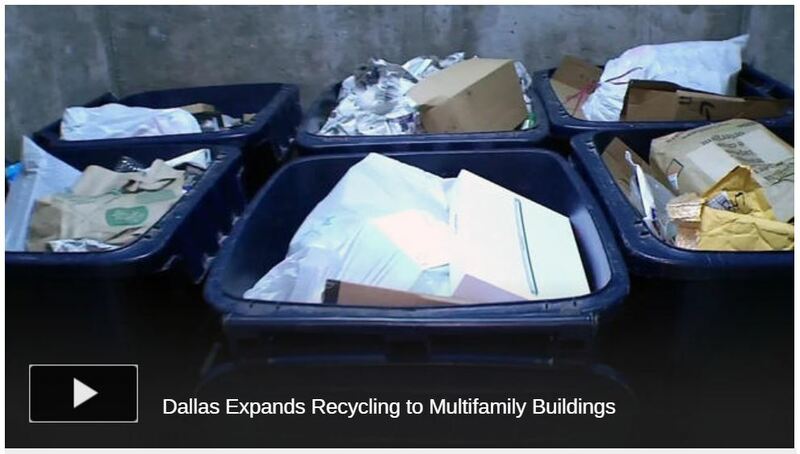 Dallas apartments and other multifamily dwellings must provide recycling for residents by January 2020 under new rules unanimously approved Wednesday by the Dallas City Council. The recycling expansion is the latest step toward the city’s goal of one day becoming a zero waste city. “The city and various groups have been working toward our zero waste goals for years now and this action is going to move the needle considerably,” city council member Sandy Greyson said. Around half the residents in Dallas live in multi-family buildings, but only around a quarter of those buildings offered recycling in the previous voluntary program. Wednesday’s unanimous City Council vote pleased supporters of expanded recycling. They brought petitions in favor of the change. “We’ve been working for the better part of three years knocking on doors in neighborhoods and apartments,” said Corey Troiani with Texas Campaign for the Environment. Expanded recycling could add years to the life of the city landfill and save Dallas millions of dollars. The January 2020 effective date gives multifamily buildings time to prepare. But commercial businesses generate around half the waste in Dallas and so far they have no recycling requirements. Greyson said rules for commercial recycling are coming soon.